Elyse Fitzpatrick reveals how each section of the Bible--the Law, history, poetry, the epistles--points to God's eternal love and the good news of redemption through his Son. You'll find yourself drawn to the Bible like never before as you begin to see Jesus on every page. 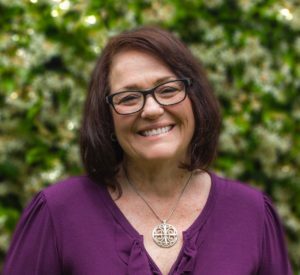 Elyse Fitzpatrick - www.elysefitzpatrick.com - is a nationally sought after speaker and author, speaking at such events as The Gospel Coalition and Nancy Leigh DeMoss's Revive Conference. Along with her husband, Phil, Elyse is a member of Valley Center Community Church, a reformed congregation in the community of Valley Center. VCCC is a member of FIRE, the Fellowship of Independent Reformed Evangelicals. Elyse has been married for over forty years and has three adult children and grandchildren. I really like that the author emphasizes that it's all about Jesus - in fact, the beginning chapter is named just that. 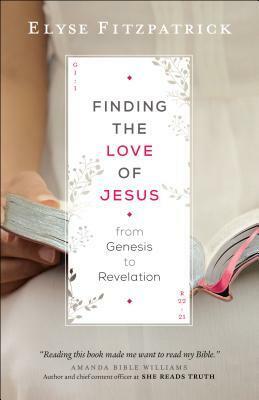 This book is written for women and emphasizes how much He loves us, however, I have never doubted Jesus' love for me or other women - or men for that matter. I have never felt "less than" as a woman in the church or as part of the family of God. I do think there are probably women who do, but from this aspect of the book, I couldn't relate. I was very concerned right off the bat because she states that the two people that Jesus meets on the road to Emmaus are Jesus' uncle, Cleopas, and his wife, Mary In all my years of study and listening to other pastors, it has been emphasized that we don't really know exactly who was on the road with Jesus. She categorically states this as fact and this bothered me. In her reach to show how much Jesus loves women, she places Jesus' aunt, Mary, on the road as someone Jesus first chooses to show himself to after his resurrection. On the bright side, I do like that she emphasizes how important it is to read the Bible. I do agree that so much of the Bible points to Jesus. I also agree that Jesus loves women. I liked the questions at the end of each chapter, too, because it encouraged more study. However, there are some misleading statements (like the one about Cleopas and Mary) and some concerning ideas like using Scripture as worship but not necessarily as a moral tale, To me, it's a book about both as God wants us to worship Him, but He also wants us to have moral laws to live by. The other thing that concerned me was that we are interpreters of the Bible just by opening it and reading it. I think this book could have been really great if she had just stuck to Biblical fact. I would have to think a new Christian woman would read this and be mis-lead. I wish I could give this book a better review but I can't. I give it 2 out of 5 stars.